Week two of the GBBO brought us Biscuit week, so I made some lovely comforting seriously chocolaty cookies. I contemplated some lemon jammy dodgers but the lure of white chocolate chips hidden in a huge chocolate cookie was too strong. The moral of story......chocolate always wins! 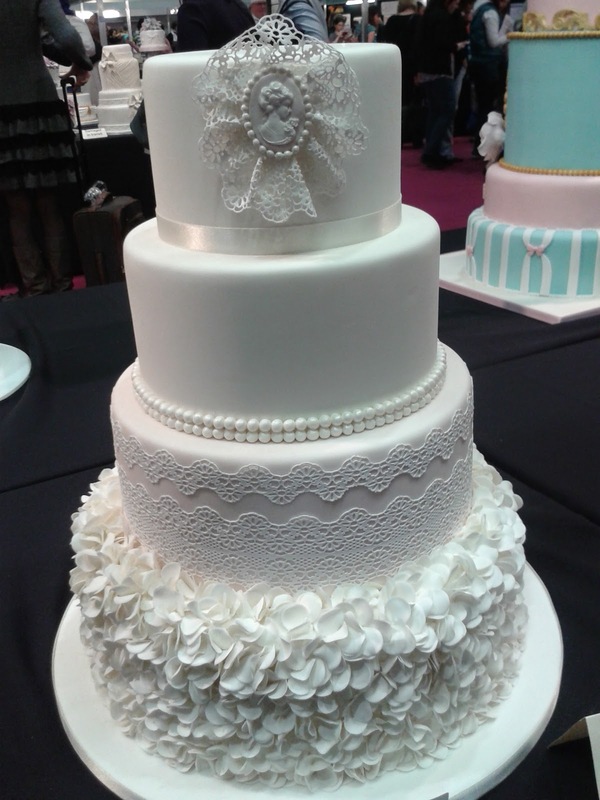 There were some awesome bakes this weeks....some of those structures were pieces of art....edible art.....which is the best kind of art! I was really happy for Iain, he struggled in the first two challenges but pulled it together for his very cool wild west scene. Luis's George and the Dragon showstopper OMG how amazing was that? Plus he made the flavours match the characters! My current fav is lovely Richard!! He is so smiley and so talented I was really happy for him when he got star baker!!! Back to my bake, I really needed a chocolate fix so I decided to make me a big fat chocolate cookie packed with white chocolate chips! These were delicious,quick to make and certainly hit the spot. They were intensely chocolate and then you would get lovely sweets hits from the creamy white chocolate chips. I ate these with a glass milk....they were yummy and comforting. I used this bbc good food recipe which was great. It makes loads, so we just kept the extra dough in the freezer so we could have easy chocolate fix nearby when we needed it. Lasted about 4 days which is quite good.......normal people could have probably stored it for longer......but we are chocoholics so we had these 4 nights in row......just one each though we not that crazy. 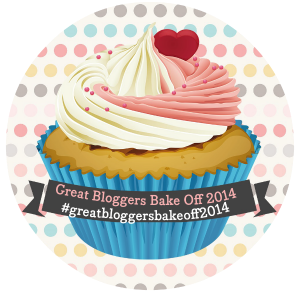 I'am linking this up to GBBO bake along hosted by mummy mishaps. 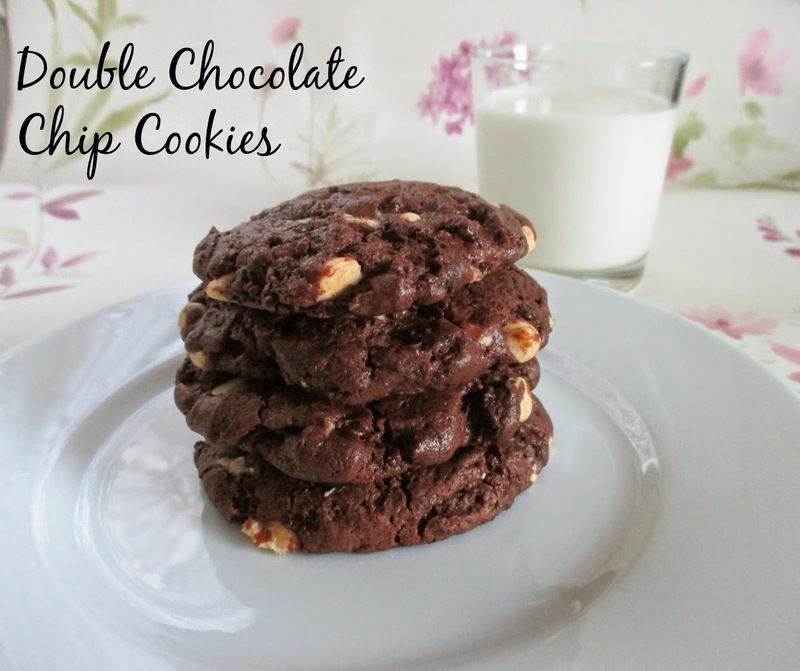 I'm also linking up to supergoldenbakes' sGBBO bake along. Hooray!! 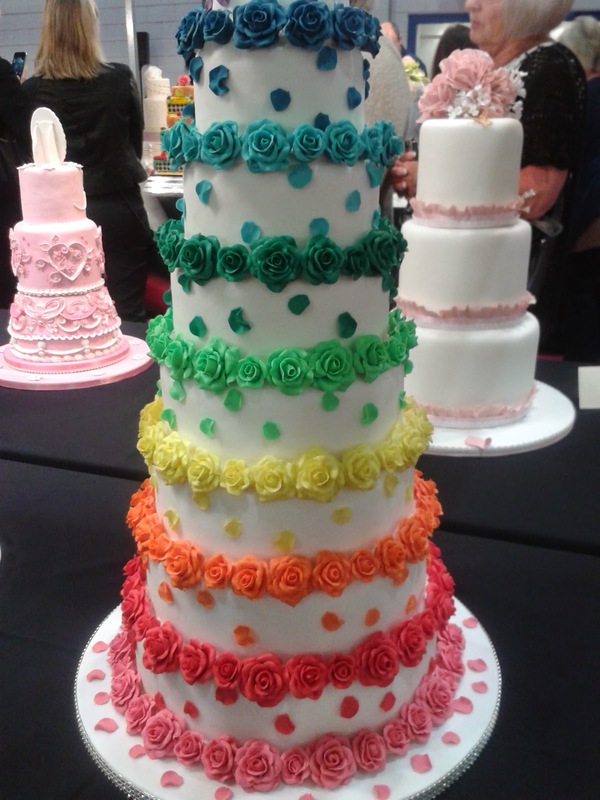 Bake off is back in all our lives, the GBBO shaped hole in my life can start to be filled mostly likely with lots sugary bakes.I'm looking forward to seeing all the awesome things the guys have to bake, and shall try my best to bake along Insha'Allah. Which brings me to my first attempt at a Swiss Roll! Now I'd been thinking about baking one of these for ages but hadn't gotten around to it. Luckily it happened to be the signature bake challenge for the bakers....so I just HAD to have a ago. This Roll you see before you was my 2nd attempt at the Swiss Roll. Lest just say if I baked my first attempt in the lovely white tent....I would have probably been found rocking back and forth in a corner some where (probably near the oven) muttering why, why, why!? Not that I'm dramatic or anything. This 2nd attempt still wasn't executed perfectly....I was SO CLOSE. This baking mistake would have only required some kind words from Mel& Sue maybe sandwich hug and I would have been fine. So as you can see my Roll looks a little different, because I ended up rolling it inside out because the top got stuck to the baking sheet. I was so annoyed. The baking went fine, I'd even pre-rolled it! That was where it all went down hill. I tried to unroll it an discovered the sponge had stuck to the baking parchment. Boo Hoo...so I got handy with my knife rescued what I could and carried on. So I kind of love Black Cherry jam, I put it on everything.......so I decided to put in a cake. Natural progression right? I also love Almonds, anything Almond flavoured.....do you see where I am going with this?! The only thing left to do was to bring these two lovelies together in some cake. Method: I used an all in one method. Put everthing in the bowl with a splash of milk and mix till everything is incorporated. When pouring the mixture in to the tin dollop some Cherry jam in and round. Bake for about 40 mins or until your skewer comes out clean. Once cooled slice up and drizzle with an Almond flavoured icing. This was totally yummy! It was light and fluffy with a delicious Almond flavour. I only wish I had put way more Cherry jam, as there wasn't enough of it in my lovely slices! 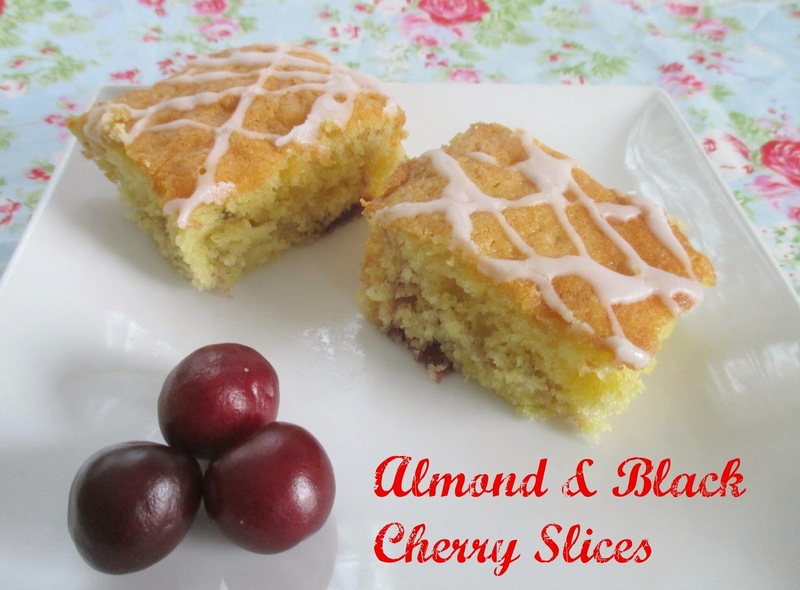 Almond + Cherry jaminess how could it go wrong?.........it can't........it was beautiful! Gooey, Chocolate Hazelnut Cookies anyone?! 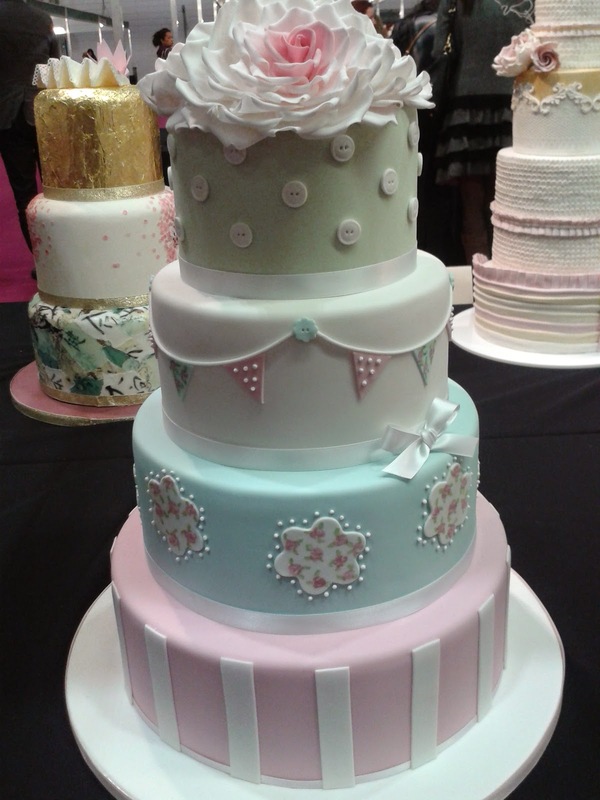 So ages ago I started this Inspired by posts, to quote my self from last time "I lose a lot of time drooling over lovely delicious blogs, and a lot of these I'll just admire or comment on.....but sometimes I see some bakes that I think....I'm so making me some of that! So I thought I would start a Inspired by segments where I make those things that have caught my fancy from fellow baking blogs using their recipe or adapting slightly"
So I was perusing my bloglovin the other day and came across The Perfectionist's nutella-filled-chocolate-chip-cookies which she had seen on Butter baking blog. Oh my these just took my breath away especially that melted pic! swoon :) I thought about them for a bit and came to the quick conclusion that i needed those cookies in my life! So at the next available opportunity I got baking. Unfortunately I didn't have the exact ingredients for Natasha's recipe...this was spur of the moment baking ...i hadn't planned to fall for these cookies but fall for them I did. So I had to bake with what I had in my cupboard...which wasn't too shabby. I used a variation of this recipe from Bells Bakery which is one that I use a lot actually. Cream the butter and sugar together till well combined. This is where it got quite messy for me, getting the choc hazelnut spread in the cookies Natasha says to flatten a ball of cookie dough in you palm, place the cold Choc hazelnut in the middle and fold the edges of the cookie dough up around the Nutella, pinching together to seal it in, and then roll it gently between the palms of your hands to form dough balls. Bake till golden and little bit soft...i have learnt my lesson of over baking them....they firm up as they cool. Mine took about 18mins on gas mark 4. Boy oh boy were they GOOD i had them warm and melty it was Divine. Bite in to these babies and you first get the nice crispy edges, then comes the soft chewy centre lastly you hit your final desitination....which is warm/melted choc Chip and the beautiful taste of choc & hazelnut. Oh I miss them already! Thanks you Natasha for the delicious inspiration! 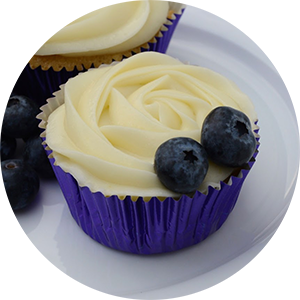 I would love to know if any yummy posts has captured your heart & taste buds. Que the thoughts.....something is different about My Cupcake Habit......but i can't put my mouse on it. You may have clocked it straightway OR the words new look in the title gave it away doh. You see I was rather bored with my old blogger look, had totally blog envy looking at all the pretty blogs out there and wanted something new + lovely. So I bought this lovely premade template from Etsy...and my blog is complete. Now anyone for coffee cupcakes? I have recently fallen hard for anything to do with Coffee, its rather a yummy flavour in cakes...still can't drink the stuff though! (odd) I was never really bothered with coffee cakes before...would completely over look them for whatever other baked good was available....i'm so mean- i regret it terribly now. Then one day there was NO other baked good, so I had me a slice of coffee.....and it was gooood. I loved the sweet coffee taste that you got from the sponge and yummy Buttercream. I had tasted all the ones available in the supermarkets, and felt I should bake me some coffee yumminess. 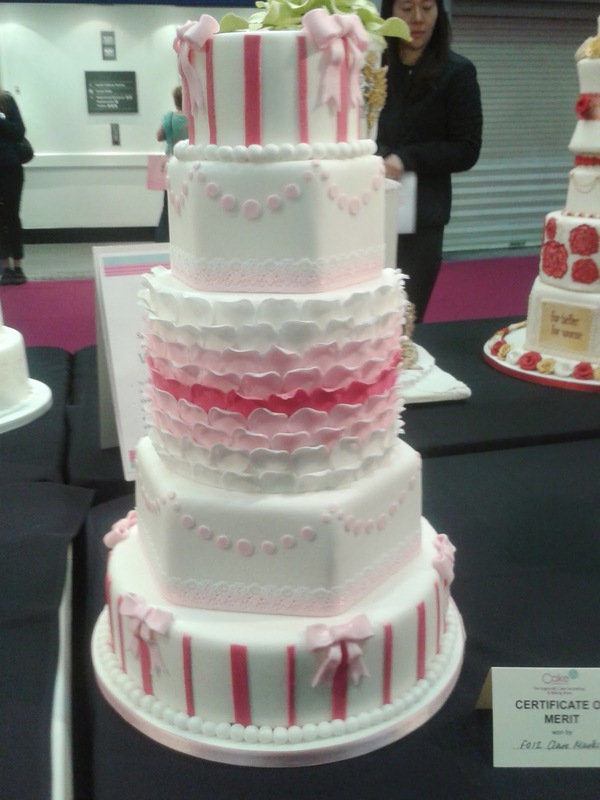 Now I was really only interested in digging in to lashings of coffee buttercream...the cake base was an afterthought! To flavour my buttercream I poured some hot water in to a teaspoon of coffee granules. Try not to dilute it too much as it will weaken the coffee flavour which will mean you need lots of it to get the flavour coming through in the buttercream. This will then make your buttercream quite soft. I used three teaspoon of the coffee to get the flavour I wanted. Cream the softened butter with half of the icing sugar to avoid making a big mess. Then add the other half of the icing sugar with the coffee. Beat until light and fluffy. The sponge was an a nice normal cupcake base to which I added the remaining coffee liquid to.....you can tell I only needed it as a vehicle for my yummy coffee buttercream.The buttercream was gorgeous! Lovely and light in texture with a yummy coffee hit. I was a happy little baker digging in to these babies. 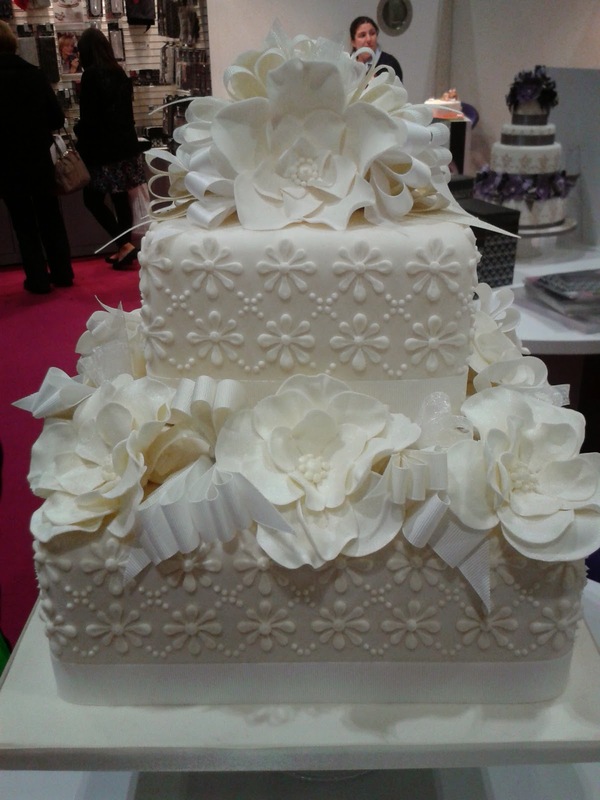 As I'm a self confessed obsessed baker if there is even a sniff of any baking related events nearby..(london) I'm there! 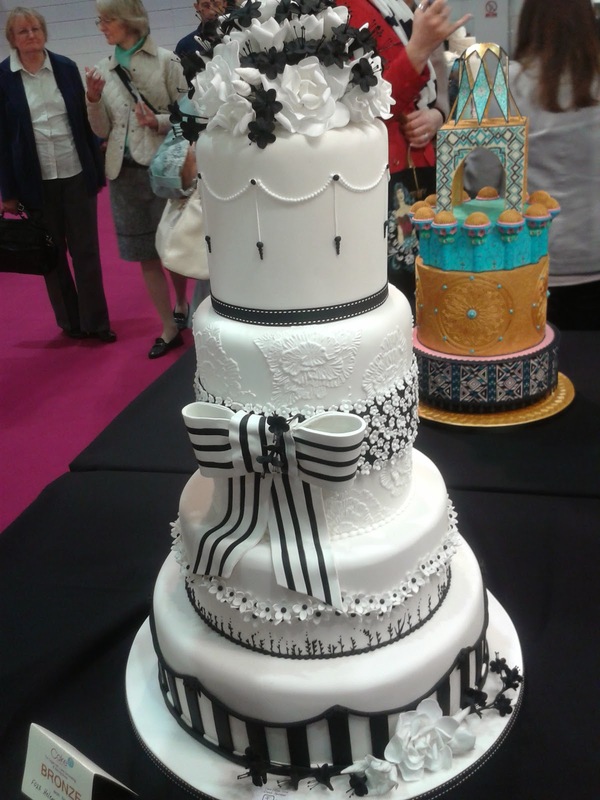 Which is why its unsurprising that I was stalking the aisles of the cake international at The Excel last month.......stalking in a dedicated way not a creepy way. 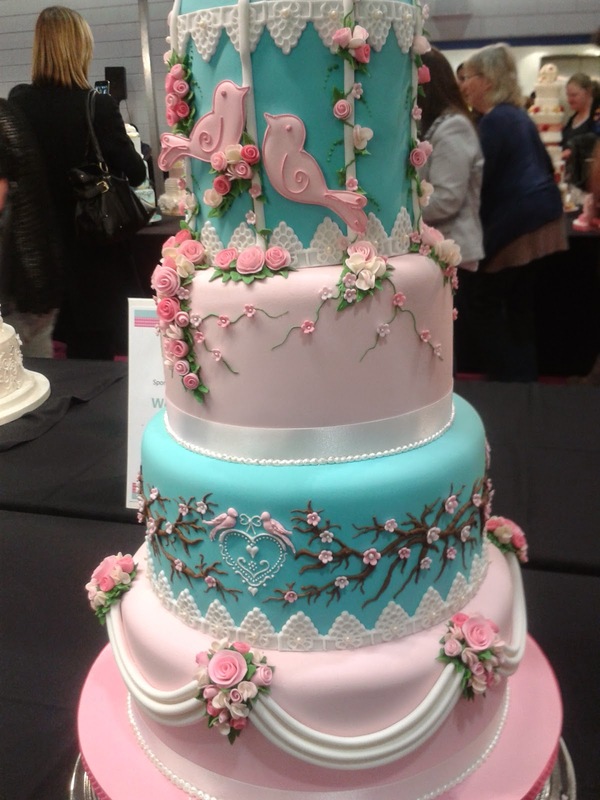 Last year I attended the Cake +Bake show and was loitering the lobby with my twin trying to get last min tickets thankfully we did. I wasn't intending on doing that again so this trip was well planned. Like strategically I was armed with notes, snacks,camera, time + places of stall and demos I wanted to see. I was very proud of my self I have to say lol! 4 Where things I was planing to get online which would have come with delivery charges. 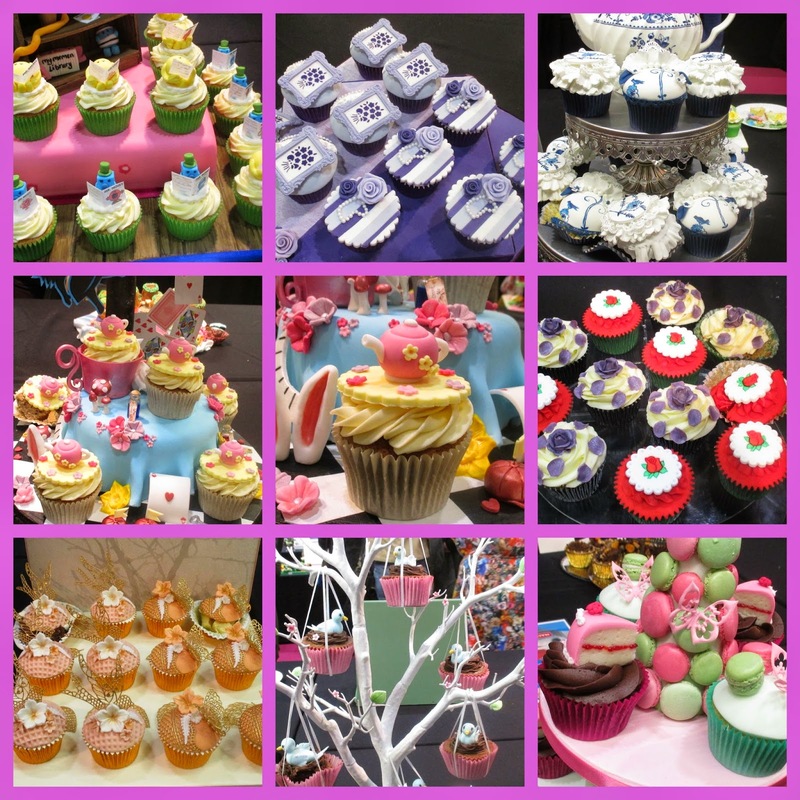 I spent quite a bit at Purple Cupcakes....I love that place and their brand everything about them is gorgeous! I bought their Impressit letters pack, a pretty embossed folder, and their swirly piping nozzel. I had received a delivery from them 2 days before I went to the Excel and errr..... went back for more! Other purchases were 2 24 cupcake carriers the first was £12 and then I got the 2nd for 10. Which is a great deal normally those things are in the £24 region! A pack of colourfull cupcake cases,another nozzel, some flavourings and lastly some cute baby themed stamp/cutters. After a while I forbade myself from buying anything else! 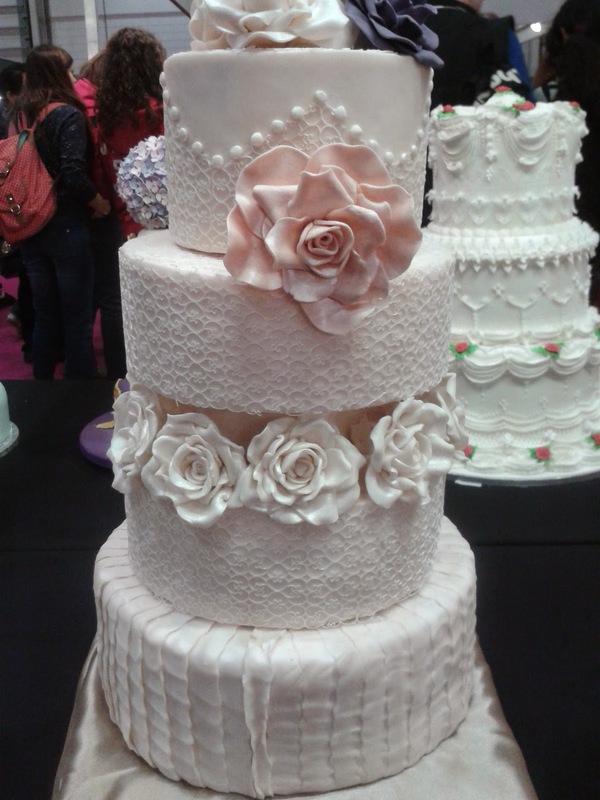 I took loads of pics of the competition cakes there were loads of awesome cakes I stuck to the pretty ones more than the novelty ones... feast your eyes. Aren't they gorgeous the detail on them was awesome, there are some very talented people out there. I wanted to just stay there.....it was so pretty there! Unfortunately I couldn't, I had take my bulky purchases and catch the tube home. FYI it was a pain in the arse carrying two cupcake carriers + plus 2 bags on a packed a train in rush hour. 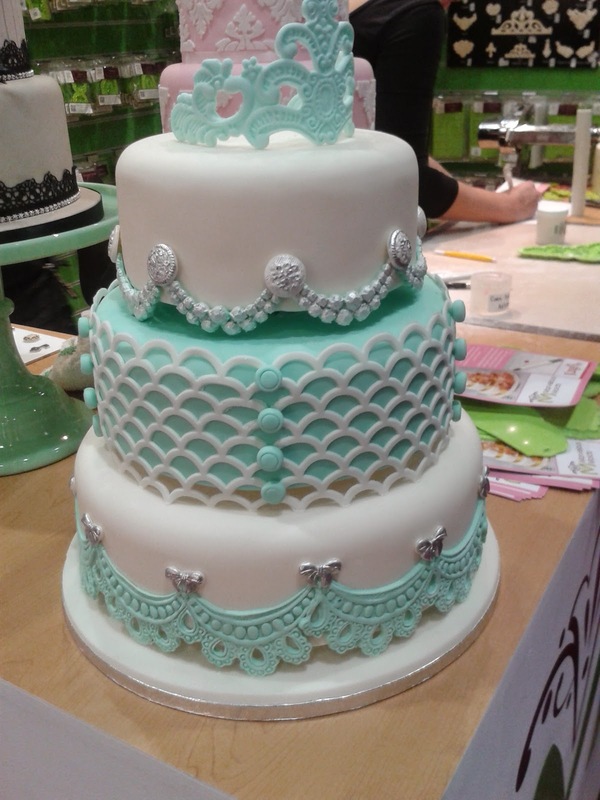 It was certainly worth it though, I had a very productive, informative and of course pretty day at the Cake international. My internet has been down hence the no posts for a while...but the techy guy came today and all is well with my laptop again...horray! I have a chocolate cake to show that I made when my nieces and nephew were coming around for a visit. I wanted to make them a cake...and it had to be chocolate so feast your eyes on the end product. I used a bbc good food chocolate cake recipe but used sour cream instead of the suggested buttermilk/yoghurt. As I had used this recipe before with yoghurt and remember thinking it had a lighter chocolate flavour due to the yoghurt. I didn't want to cover the whole cake in chocolate as the kids would have probably been as high as kites. 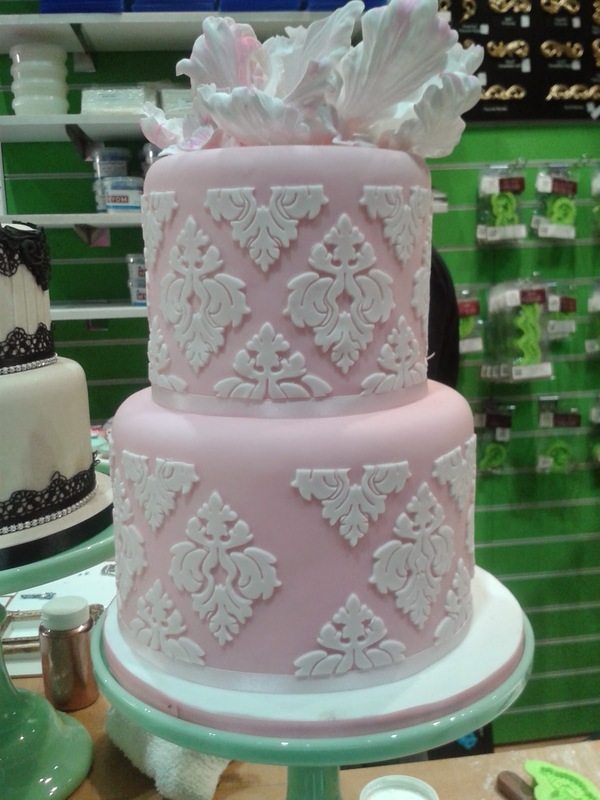 So to make it pretty I piped some roses around the edge of top layer. FYI the middle part looks like I was trying to hide something because.....I was trying to hide something. I tried to pipe roses in the middle but it got a bit wonky then I started to run out of buttercream so I just removed the middle roses and got out some handy chocy sprinkles! 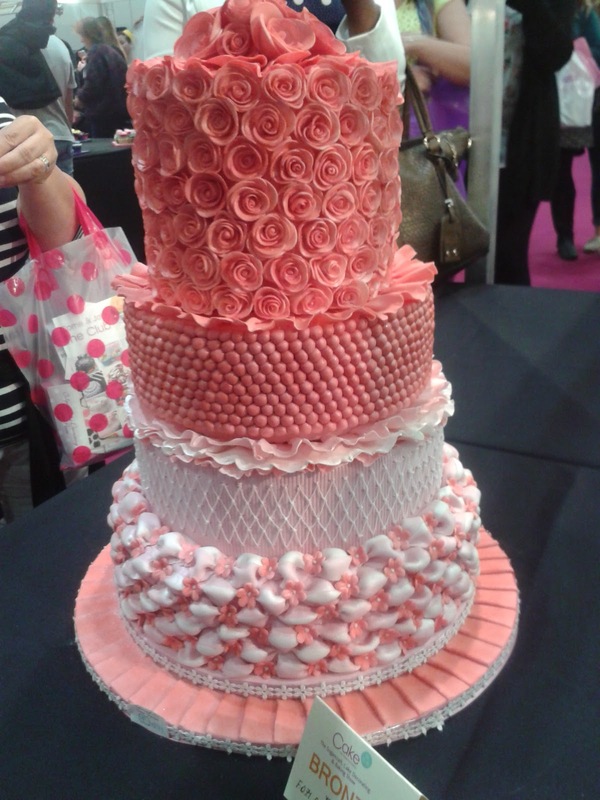 This went down really well, they couldn't wait to get their hands on it.... so much so that while i was upstaris they licked the roses of the top! when I came back there was three roses left! A cheeky smile and some chocolate fingers led me to the culprit rather quickly.... I suspect she had an accomplice though. I really liked the chocolate sponge it was nice and chocolaty with a lovely texture. The buttercream was perhaps a bit thick....I think I should have used more buttercream on the cake as it was quite big. The cake to buttercream ratio was a bit off. A 20 something obsessed baker with a serious cupcake habit which I DON'T really want to kick!